Too Busy = Too Many Extras: You buy items you already own because you don’t have a system in place for where to store them or, when you need to find things fast, the time to search through all the possible storage spots. By identifying which category you fit into, you can avoid your weak spots. So, the first step to a clutter cure is to write down your favorite pack-rat phrases. My clients’ top three are: “I have to go through those,” “Someone could use that,” and “But I need it!” Unless you use the object in question at least once a year, such righteous exclamations are actually symptoms of dysfunction. Obeying these protests will keep you overstuffed and off balance forever. Instead, use your powers of analysis to outwit the primitive logic of these phrases. When I ask clients what they long for, the most common responses are “peace,” “space” and “freedom.” Clutter keeps us from achieving these goals, and we spend hundreds of thousands of dollars buying larger homes. Empty space is more valuable—psychologically and physically—than almost any object. With this in mind, walk into any room of your home and focus on 10 random objects. As you consider each, ask yourself (1) Do I truly need it? ; (2) Do I truly adore it? ; and, (3) Would I trade inner peace for this? 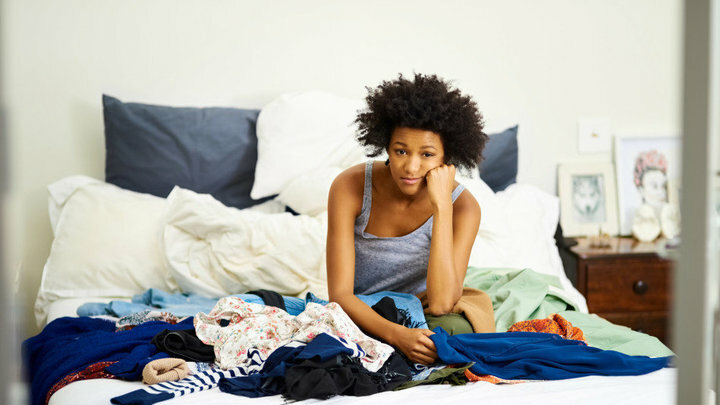 The answers can help curb your pack-rat impulses, allowing you to clear out and move on. If you’re feeling overwhelmed and don’t know where to start, here’s a technique that will help you slowly eat away at it. I call it the “trash bag tango” and this is how it goes. 1. 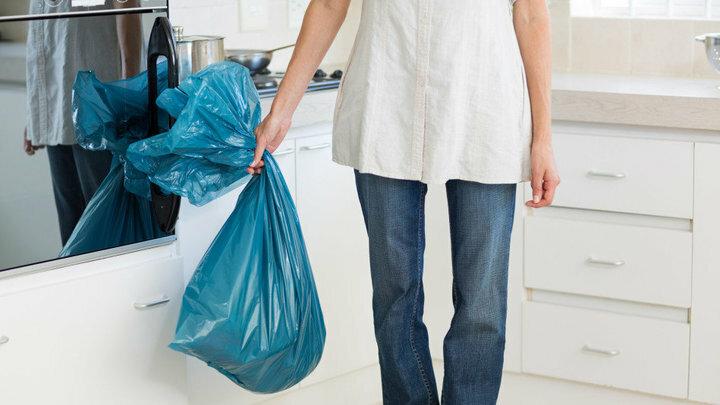 You get two trash bags, with the idea here being to clear the superficial clutter from your home. 2. In the first one you put trash; in the second bag, you put stuff that’s going to a charity or a yard sale, books that you’ve read or clothing that no longer fits you,—and anything else that you just want out of the house. If you do this simple 10-minute routine every day for a week you’ll notice a difference. Do it every day for two weeks everyone will notice a difference. And do it every day for a month and you’ll really be on top of the clutter. If you can’t finish the mail, don’t start the mail. You can’t slice chicken for dinner and sort your bills at the same time, so when you come in the front door with a stack of mail, put it in the basket, box or whatever container you have handy for this purpose. You don’t have such a container? No wonder there are so many piles of mail around your house. When you’re ready, take your mail basket to wherever you deal with paperwork. First, pull out the circulars and flyers and set them aside; you’ll either clip the coupons or put them in the recycling bin—later. Also set aside the catalogs. If you’re shopping for something specific, save them. (Caveat: no multiples. The new catalog replaces the old one, which gets recycled.) If you’re getting catalogs you never wanted in the first place, pull off the pages with the mailing label and put them aside; that’s an action item for later. Then separate the rest: bills, personal correspondence, time-sensitive invitations, requests for charitable donations, membership renewals, new credit card offers and so forth. Open the bills first, because they represent a relationship that must be honored; if you want the services, you have to pay for them. All the stuffing that says, “You’ve been selected to receive these free gifts” goes into the recycling bin. All you want is the bill and the return envelope. Put any invitations aside; later on, you’ll transfer those into your calendar and send your response. 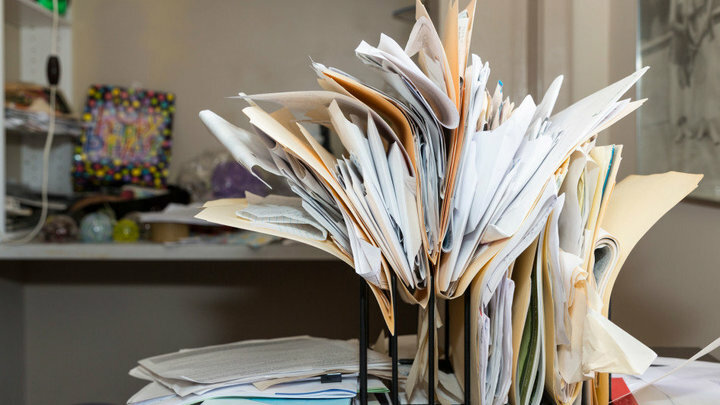 If there’s room in your home office, have small bins in which to stack bills, invitations and the correspondence you’re keeping. Consider your washing machine: You’d never fill it with dirty clothes, let it run for 20 minutes then turn it off and let the clothes sit for two days. That would create a stinky mess! So it is with our daily routines: Doing things halfway wreaks havoc. That’s why it’s important to finish each cycle. For example, if you bring a dirty plate into the kitchen, don’t leave it on the counter—put it in the dishwasher! When you pull on sweatpants after work, don’t toss your skirt on the bed—hang it in your closet. ... Each of these tasks requires about a minute, which is minimal compared with the time you’d waste later looking for that skirt. Until further notice, do not go out and buy anything new and unnecessary—no retail therapy, no “great deals” and no sales! Instead, purge as much clutter as possible as quickly as you can using the F.A.S.T. method. Here’s a step-by-step breakdown on how to clean house and get organized. F: Fix a time. Schedule a time that suits everyone involved. Cleaning up is a family affair, so get everyone on board by scheduling your kick start at a time that works for everyone and make attendance mandatory! Set aside a Saturday or a Sunday, or a few hours every day, to start the process. • Do I use this? • How long has it been since I’ve used it? • Will I use it again? • Is it worth the space it takes up in my house? S: Someone else’s stuff. It’s bad enough when clutter is your own, but it is totally crazy when the clutter belongs to someone else. Your house should not contain anything that doesn’t belong to you. If it’s something you’ve borrowed, give it back. 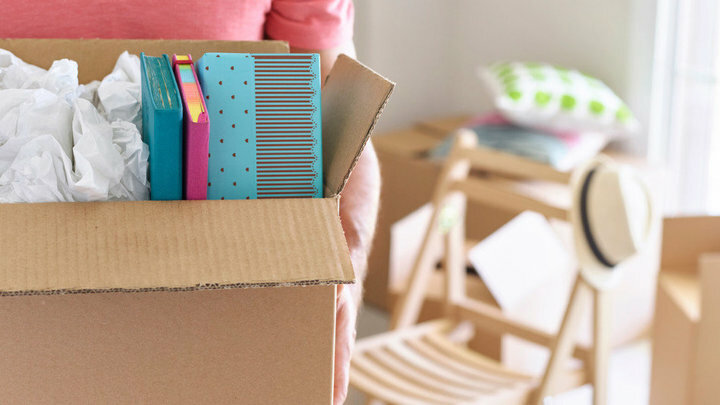 If you’ve ended a relationship or gotten a divorce, now’s the time to let your ex’s belongings go. If your kids have established their own households, it’s time for them to pick their stuff up. T: Trash. The trash can is your friend. It is your very hungry friend. Take pride in how much you throw away and make it fun. Compete with your family members to see who tosses the most or award a prize to the best purger. 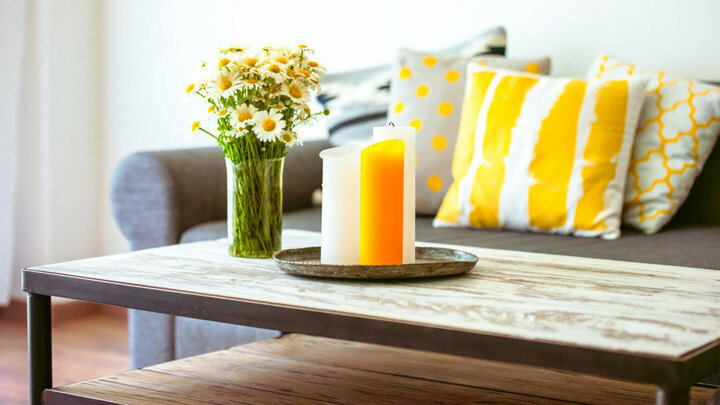 Remember the goal: You only want to keep the amount of stuff that makes sense for your space. Your home is not a museum. Many people subscribe to the unwritten rule that you’re obligated to keep your great-aunt’s dishes, even if you don’t like them, just because she used them. But maybe your great-aunt never liked them either and also felt too guilty to let them go. Things don’t have to become yours simply because they belonged to a relative. You’re not living her life, and you’re not a bad person for giving inherited items away. If the acquired stuff is worth money, you may feel bound to it financially: “It’s real silver—I can’t give it away.” Yes, you can. Donate it, document what it’s worth and take it off your taxes. Or give it to another family member who would really like it. Or sell it on eBay. And if you like something enough to keep it, consider it a replacement, not an addition—keep Grandma’s reading lamp, but donate the one you already have. Mementos from your own life are harder to part with because when you see them, you relive the story: To you, it’s the cashmere V-neck you wore on your first date with the man who would become your husband; to anyone else, it’s just an old sweater full of holes. The key to parting with items suspended in time is not to replay that story. Leave the room, come back in and see what you’re really holding on to—a sweater that’s seen better days. Rule of thumb: If it serves no purpose, let it go. Turn all the clothes hanging in your closet so that the hangers face back-to-front. 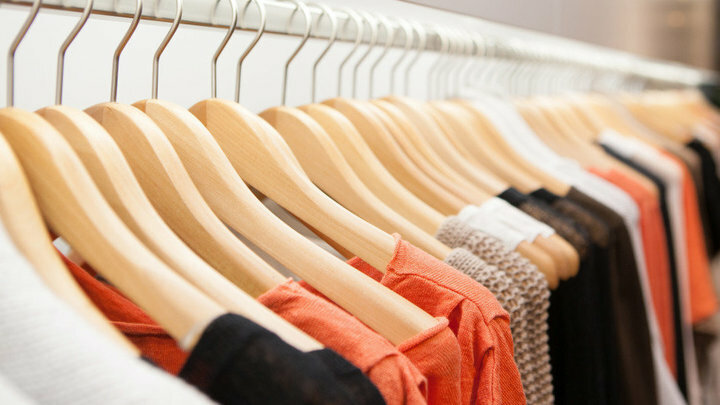 For the next six months, if you wear an item of clothing, return it to the closet with the hanger facing the correct way. If you try it on but decide not to wear it, make sure you put it back with the hanger turned backward—no cheating. Be prepared for a shock; you are going to find you own lots of clothes you have no use for. You should seriously consider getting rid of anything you don’t wear regularly. Not sure what you use and what you don’t in your kitchen? Here is a tried and true way to find out. Empty the contents of your kitchen utensils drawer into a cardboard box. For one month, put a utensil back into the drawer only if you take it out of the box to use it. If it’s still in the box after four weeks—you don’t need it. Pass it on to charity.